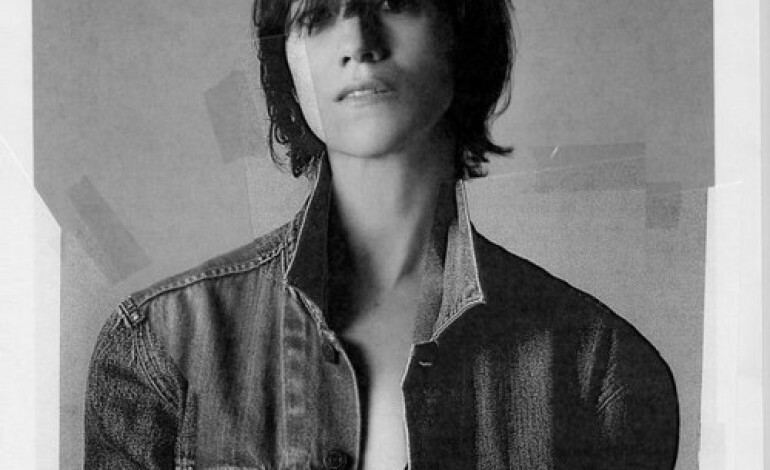 Charlotte Gainsbourg is back and better than ever. The singer-actress has released her first full-length album in 7 years. Though somber in subject matter, the tracks on Rest play out with invigorating performances. The tragic experience told through this record comes from Gainsbourg’s own dealing with loss. Her father’s passing, who was the famed French singer Serge Gainsbourg, and her older half-sister’s apparent suicide in 2013, inspired some of the darker moments. Recently, artists have told stories of grief through raw, honest albums such as Phil Elverum’s A Crow Looked at Me and Sufjan Stevens’s Carrie & Lowell. Gainsbourg’s version feels uniquely her own. As the frantic and mournful elements of her songs arrive, she stares down all possible grief-stricken moments with quiet strength. For the first time compelled to pen her own lyrics for this project and seeking the collaboration with producer SebastiAn, Gainsbourg finds herself in a sonic world where she fits in perfectly, even though many genres and styles are represented throughout. Gainsbourg has a knack for choosing her creative collaborators wisely. Her last work, 2009’s IRM, was written and produced by Beck and the album before that was produced by Nigel Godrich of Radiohead. SebastiAn, known for working with Frank Ocean, gives dramatic takes on funky, electronic beats with orchestral swells and layers of texture. Guest production comes from Guy-Manuel de Homem-Christo of Daft Punk who contributed to the title track and Paul McCartney who wrote “Songbird in a Cage” where he plays the piano, bass and guitar. The first song “Ring-a-Ring O’ Roses” takes the well-known children’s rhyme to a spooky place with a minor-key progression and swirly synths. “Deadly Valentine,” a sure stand out on the album, has Gainsbourg singing her wedding vows over restless grooves. The 6-minute track is entirely in English. The frequent switches in beat and infectious bassline create an intriguing vibe. The title track presents a play on the word “rest” which can carry the connotation of death or finality. However, in her first language of French, “reste” means “to stay.” Over a steady, muted beat and soft, melodic synth chords, Gainsbourg calls out for a departed friend. This song was written closest to the time of her sister’s passing. It conveys a sort of hushed sadness and the immediate vocal delivery combined makes it a moving performance. “Songbird in a Cage” is delightfully upbeat, a needed escape from the more grief-heavy tunes. The jangly, funk grooves provided by Sir Paul gives the track a lofty feel as Gainsbourg sings, “Flying through the sky / All your senses reeling.” In the albums’ closer, “Les Oxalis,” a propulsive disco beat meets Gainsbourg’s airy, cooed vocals. Many times on this album, Gainsbourg finds herself questioning the reality of her circumstance as if she hasn’t fully come to terms with the loss she faced. However, the great healing power of music carries her through and gives Rest a most vivid feeling of awakening.